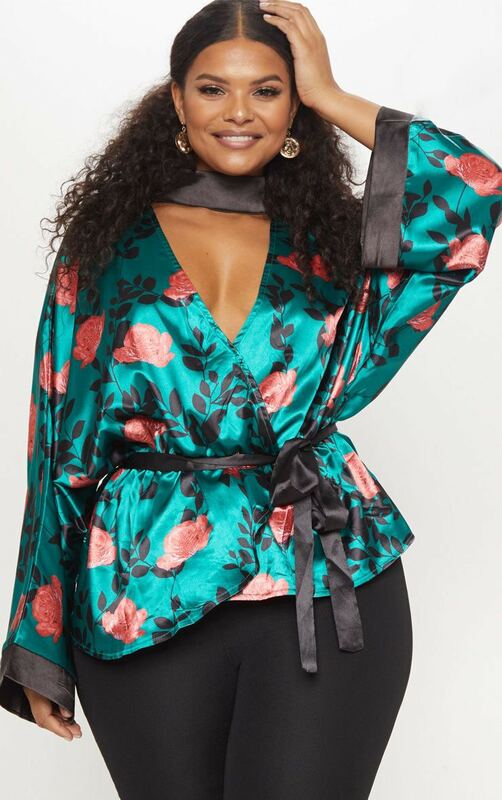 This versatile blouse is all types of feminine doll. 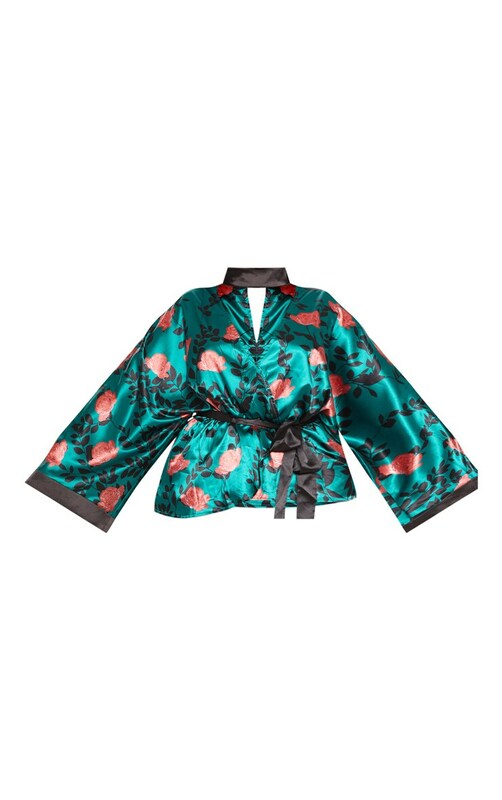 Featuring an emerald green floral pattern, satin fabric, tie waist and a wrap over design. We love this teamed with black flares and gold strap heels for a look that is perfect for day drinks.